Although harking back to Medieval times in Germany, festive street markets have become a common sight in British cities and towns over that past 15 years. Last year Birmingham’s Frankfurt market drew around 5.5million visitors contributing to a spend of £397m, nearly double that of the £201m spent in 2012! Their 180-stall market has now grown to become the largest in Europe. 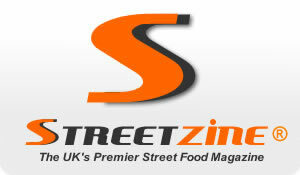 Much like the huge rise in popularity for summer street food, the winter-month demand for street food is no exception. Despite the arrival of a frostier forecast, crowds excitedly gather as they would at a restaurant or bar for a bit of ‘Christmas Spirit’ chased down with tasty street treats. The Clean Hands® system from EasyGlove prevents cross-contamination when handling food and money during the festive period. This is an essential product for operations requiring servers to quickly swap between money transactions and serving food. The Clean Hands® system is H.A.C.C.P. (Hazard Analysis Critical Control Point) compliant. It has been recognised by many EHO officers as a method for preventing cross-contamination when used alongside adherence to the ‘Safe Method for Mobile Hand Washing Facilities’. The system features an innovative magnetic wristband that connects the slip-on glove to a docking station. This enables the server to seamlessly slip their hand out of the glove whilst the glove remains open and magnetically attached to the base. The glove is ready for re-use to wear again by simply inserting the hand back into the waiting glove and lifting away from the docking base. The food service industry has the highest usage of disposable gloves of all of the sectors – 20 pairs per worker each day on average. Although disposable gloves can cost only 3p per pair the savings through glove reuse over the year can really add up. The Clean Hands® system presents mobile caterers with a huge opportunity to both save money and cut down on their waste. – Paul at the Phat Pasty Co.